Here’s a crochet pattern for a simple throw rug made from several pairs of old jeans. If you’d like a larger size rug, increase the stitches in the foundation row, work more rows, and cut strips from more pairs of jeans. Measurements: 30 in. x 17 in. Cut the strips for this project into approximately 1 inch in width. This is a rare case where gauge isn’t critical, so a bit of variation is okay. After you’ve cut all the strips, roll them into a ball, and you’re ready to go. Row 1 (right side): Sc in 2nd ch from hook, sc in each ch across (30 sc), turn. 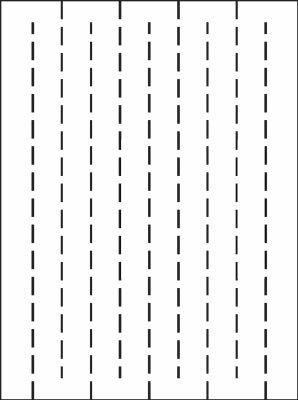 Rows 2–18: Ch 1, sc in each sc across (30 sc), turn. Fasten off after Row 18.